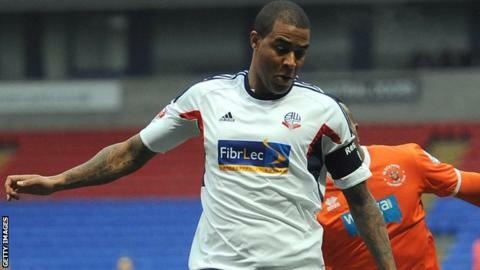 Bolton Wanderers have released four senior players, including captain Zat Knight and winger Chris Eagles. Full-back Tyrone Mears and goalkeeper Jay Lynch are also leaving. The Championship club have confirmed talks are ongoing with injured midfielder Stuart Holden, forward Andre Moritz and keeper Arran Lee-Barrett. Centre-back Knight, 34, who spent five years with Wanderers, was appointed skipper at the start of the season after the departure of Kevin Davies. But he only started 24 of Bolton's 46 league games in the 2013-14 campaign, in which Dougie Freedman's side finished 14th in the table. Former Manchester United youngster Eagles had three seasons at the club, scoring 19 goals in 106 games for Wanderers. USA international Holden is currently recovering from a fourth serious knee injury. He has appeared just five times for Bolton in the last three seasons.